A serial killer haunts the western Soviet Union in 1953. According to Communist Party doctrine, such a crime cannot exist in a socialist country, where the State has eliminated inequality and poverty and hence the crimes that arise from them. To assert that a serial killer exists—let alone to track him down and seek his punishment—is thus a counterrevolutionary act, a crime that the State takes seriously and punishes severely. Leo Stepanovich Demidov is a decorated hero of the Great Patriotic War and a loyal soldier of the MGB (predecessor of the KGB). Married, and with a promising career before him, he must confront a colleague and friend whose child is the forty-fourth victim of a serial killer whose very existence the State denies. Caught between his loyalty to the State and the evidence plain to anyone with eyes to see, Demidov dares to follow the truth and pursue a killer who must be stopped, In the process, he reveals a horrifying truth about Soviet history that explains the killer’s actions. 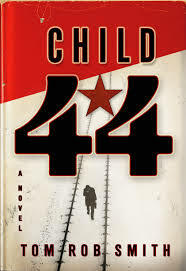 In Child 44, Tom Rob Smith captures the contradictions, paranoia, and massive evil of the Soviet Union during Stalin’s final year. It is a riveting page-turner of a mystery, not to mention a complex meditation on what it mean to pursue justice in a fundamentally unjust society. This is the first volume in a trilogy—The Secret Speech and Agent 6 are the succeeding volumes—all of which are highly recommended. George F. Will spoke at the Inaugural Disinvitation Dinner of the William F. Buckley Program at Yale University. His thesis? “Free speech has never been, in the history of our republic, more comprehensively, aggressively, and dangerously threatened than it is now.” Take a look! 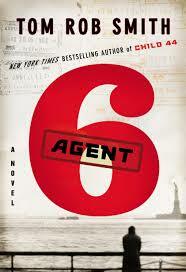 Agent 6 is the third book in Tom Rob Smith’s Child 44 Trilogy. It follows ex-KGB officer Leo Demidov over three decades and across three continents as he seeks to unravel a conspiracy and avenge the murder of a loved one. Usually, when I read a series that features a central character, I try to read the books in order. I didn’t do that with Agent 6 because it arrived before the other two, and I wanted to crack it open immediately. I’m not sure if I missed any necessary backstory; I’ll find that out when I read the Child 44 and The Secret Speech. What I’m sure of is this: This was an engrossing read. 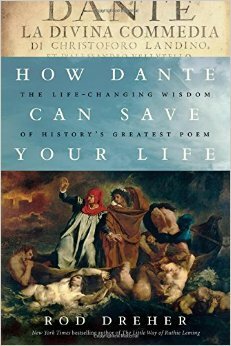 I picked it up and couldn’t put it down until I finished it. For me, that’s the mark of a good mystery: It grabs you and won’t let you go until you see the solution. I look forward to reading Smith’s other books. Smith is not by a long shot the worst Supreme Court decision of all time, or even of the past twenty-five years. As a matter of the human harm it inflicts, there are far more egregious cases.Planned Parenthood v. CaseyandRoe v. Wade, the Court’s abortion decisions,top the listin the modern era. Nor isSmith the most indefensible of opinions in terms of the Court’s legal analysis.Roe,Casey,Lawrence v. Texas, andWindsor v. United States, each adopting and extending some form of “substantive due process,” are worse thanSmithon this score.Smithis a dubious and insidious interpretation of the Free Exercise Clause, and Scalia’s opinion is an embarrassment, but it embodies an at least barely plausible argument from the constitutional text. ButSmith is hugely pernicious in its effects. Like a weed, it intertwines with other actions of government, strangling freedom. In fact,Smith’s subtlety and superficial plausibility are in part what make it so deadly. AndSmith is positively perverse in its consequence: not only does the Constitution’s protection of religious free exercise entail no positive protection for religious free exercise, butSmith’s rule means that the sphere of religious liberty is utterly at the mercy of government’s choices. Thebroaderand more unrestrained government’s reach, thesmallerthe sphere for religious liberty. As government expands, religious liberty shrinks. This is an upside-down reading of a constitutional provision that obviously singles out religion for special protection from government. Twenty-five years afterSmith, we’ve come a long way, but not in the right direction. The right to freedom of religious exercise and conscience—which Scalia cheerfully left in the hands of legislatures—is being overrun by those same legislatures and by courts acting in the name of the Constitution. We are relearning a bitter lesson: that what Scalia called “a luxury” that “we cannot afford” is in fact the first, the last, and the most fundamental line of defense against tyranny in the form of legal evisceration of religious conscience.